You can hardly turn the TV on without being reminded to reduce kids screen time. It’s a serious problem! 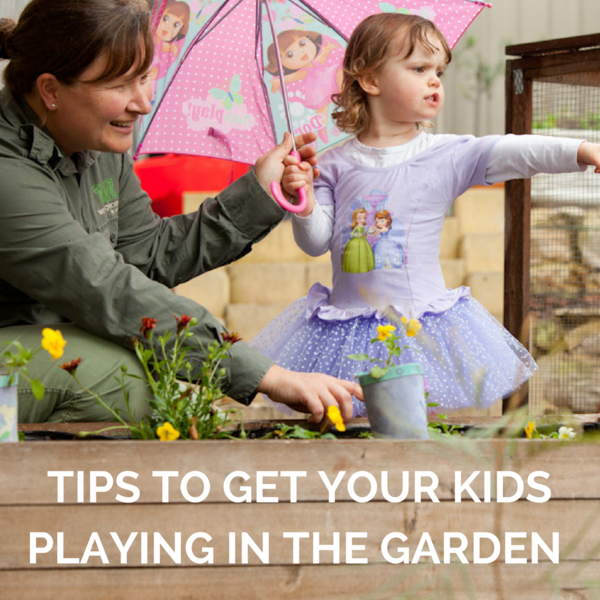 So we asked Duncraig franchisee, Diana to share her tips on gardening with kids these school holidays. 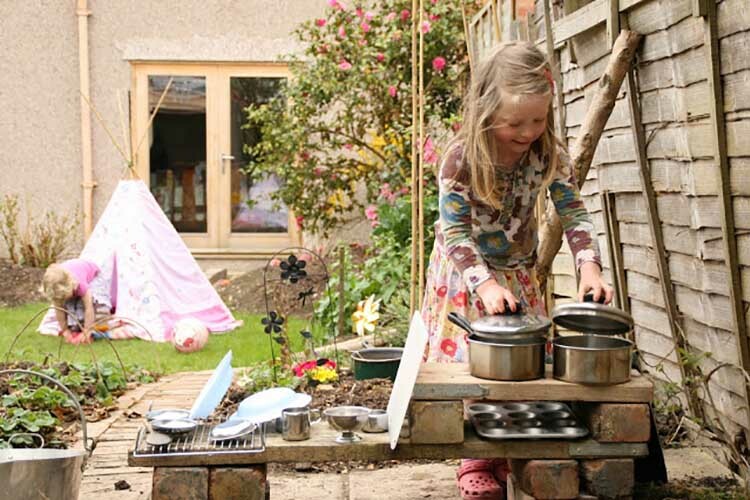 The more colourful and enticing your outdoor space, the better chance you have of getting the kids involved. Bright flowers, secret spaces or paths, worm farms, gardens for imaginary fairies, mud kitchens and dedicated spots to explore are all great options. TIP: Kmart has some lovely fairy garden kits at the moment as well – check them out HERE or make your own. Let the kids plant seedlings or cuttings in handmade newspaper pots and watch them grow. 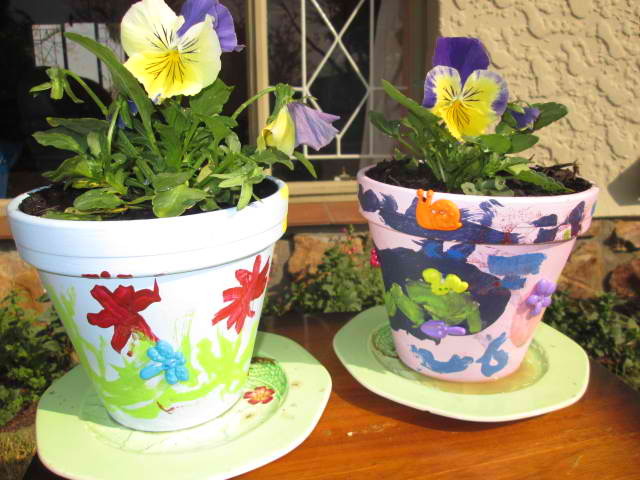 Or paint some plant pots together and give kids the responsibility for watering and caring for their own little plants. Start a vegie patch! Kids love picking veggies and fruit from their backyard. It is really beneficial for them to see where their food comes from and be involved in the process of growing and cooking it. 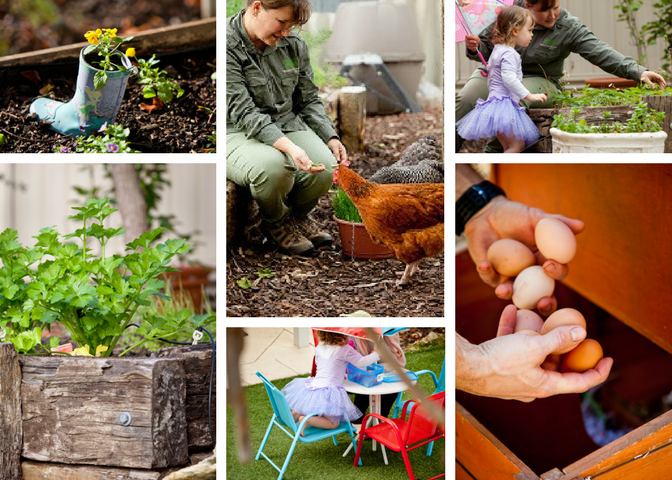 If your backyard isn’t suited to a full scale veggie patch, try using tubs, a square foot garden or a tiered planter box to suit your space. Fruit trees are also a simple and attractive addition to any garden bed. Making your garden as free as possible from pesticides and chemicals is obviously a wise idea. Use organic plant materials including potting mixes, manures and fertilisers where possible.